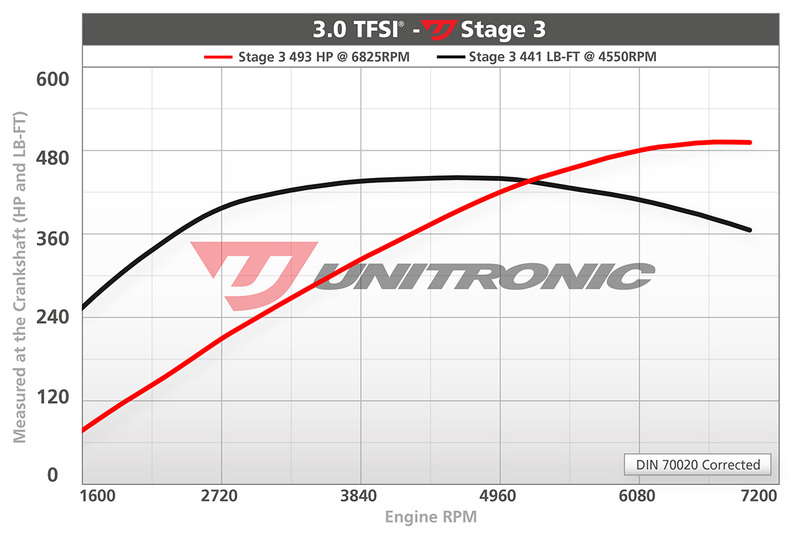 Featuring an impressive increase to 493 HP/441 lb-ft of torque, Unitronic’s Stage 3 Crank Pulley Upgrade Kit includes its 187 mm Crank Pulley, 7PK1300 Belt, and most importantly, its Stage 3 Dual Pulley Performance Software calibration. 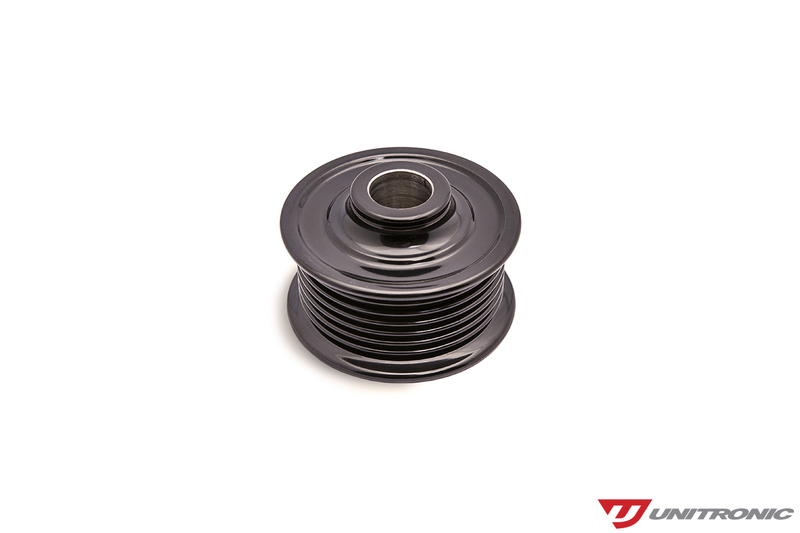 This can be purchased as an Upgrade Kit for users who already have Unitronic’s Stage 1/1+ Performance Software or Stage 2+ Supercharger Drive Pulley Kit, at a discounted rate, or it can be purchased as a complete Dual Pulley Kit with the Supercharger Drive Pulley. Unitronic's Stage 3 Dual Pulley Performance Software calibration is engineered specifically for use with both its Supercharger Drive and Crank Pulleys to ensure maximum performance is achieved while maintaining complete OEM-like reliability and drivability. Optimized pulley size for maximum performance. Black anodized finish for the best possible look. Easily align your new crank pulley for a trouble-free install. High-Quality belt that perfectly fits your Unitronic Dual Pulley Upgrade Kit. High-Quality OEM bolts for a perfect fit everytime. 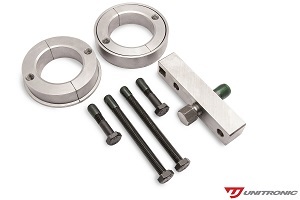 Unitronic's Dual Pulley Upgrade Kit is very straight forward to install. Consisting of many OEM and precisely engineered Unitronic components using the latest in 3D modeling technology, to ensure perfect fitment and maximum performance. *Available for B8/B8.5 S4/S5 and SQ5 models only currently. Support for C6 A6, C7 A6/A7, A8, Q5, and Q7 is coming soon!